Being a college student usually goes hand in hand with living on a budget. When moving becomes necessary there are some things you can do to stay within your budget, not break your back, and still have a great move. Planning ahead is everything! If you give yourself enough time there are many things you can get for free! Watch Craigslist, people post moving boxes for free on Craigslist all the time. Using professional moving boxes is better than getting them at the grocery store, etc because they are thicker and more durable. Save paper, any kind of paper will work to wrap your dishes and saves you about $25 for moving company paper. If you are moving locally, check with movers who may have a student package, this will usually include a small truck and two movers for less than $200! Visit Groupon, Amazon local deals, Deal Chicken, any local daily deal company commonly will run moving company specials which could get you two hours of moving for less than $100! 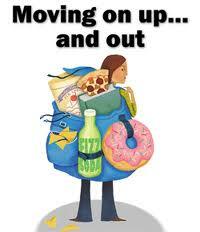 Moving can be inexpensive and still be a great move, just choose the right movers and plan ahead! Do you have some money saving tips to add? Please share, we love your input.